This is a Black Infant Waffle Crochet Beanie with a Pink Silk Daisy already attached with an alligator clip. 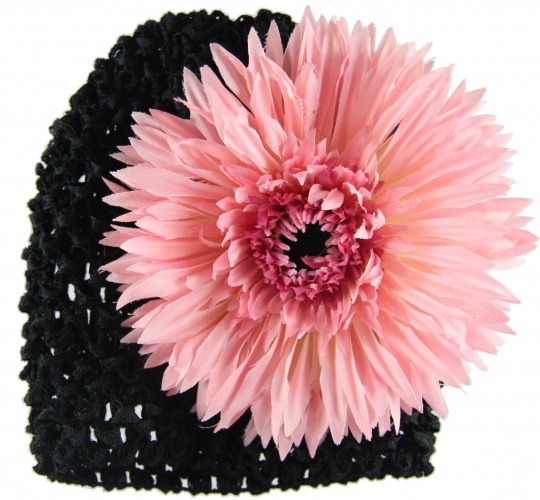 The center of the flower is a dark brown velvet, against the black hat it really does look black. This gives you two different looks because you can wear the beanie and flower alone if needed, or keep them attached for this perfect look.